I managed to get this month's issue of White Dwarf. 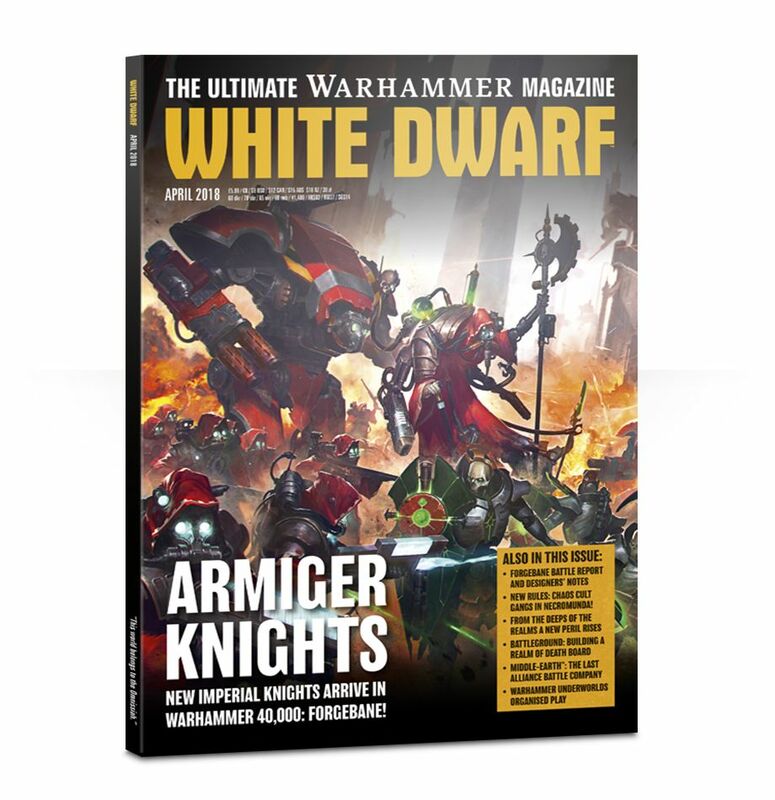 Sad to say, there's not much news on Imperial Knights - they're focusing more on Necrons and Drukhari in this issue. They do have a lot of stuff in Imperial Knights' Armiger Warglaives, like how they designed it - giving it more animalistic legs, keeping the size of the cockpit consistent and realistic (to fit with the cockpit in the Knight Paladin, Warden, Errant and Crusader) while making it small. It also lacks most of the heraldry and whatever its bigger cousins have, because these are the less glamorous Knights, piloted by commoners or low-ranking nobles. Awesome. There is also a battle report between the Adeptus Mechanicus and Necrons in the vein of Forgebane. Spoiler: Adeptus Mechanicus won, by the skin of their teeth. The Necrons blew up and destroyed most of the Adeptus Mechanicus forces, even destroying two Armiger Warglaives, two Onager Dunecrawlers and a single Knight Errant, while still having quite some bunch of dudes left over. Fortunately, the Tech-priest Dominus succeeded in its mission and moved the Blackstone stuff off the planet and for the Omnissiah's servants to study it, so we won! Even after the release of the Drukhari codex last weekend and the announcement of the Imperial Knights codex from AdeptiCon 3 weeks ago, there hasn't been any other news on Imperial Knights. I'll be keeping an eye out for them and I'll let you guys know when I see anything. I mean, I'm the Imperial Knight guy after all. Emperor of Man, I just want that Imperial Knight codex already...anyway, I'll keep you guys updated if I get any news. If I'm not mistaken, Imperial Knights will most likely get an April 28th release or a May 5th release - May 12th at the latest, but as always do not take my word for it. Just add lots of salt to this speculation. We'll see. 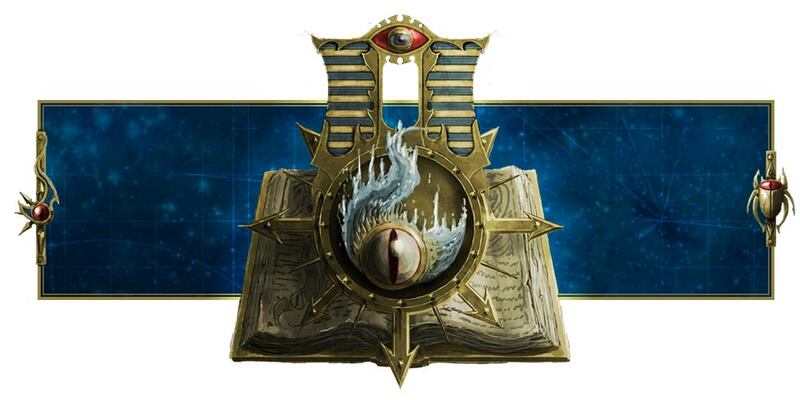 From what I estimate, we will have previews, reveals and hints of the Imperial Knights codex starting sometime next week (April 15th or 16th), and preorders will be up either in April 21st or April 28th. But that's just speculation, so again, do not believe anything I say. The big FAQ is up in its beta version!